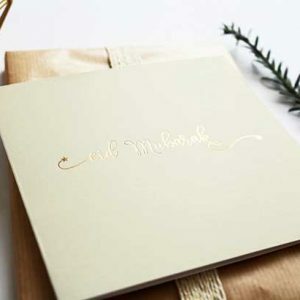 – Simple, elegent and luxuriously hot foiled on to a textured linen card. 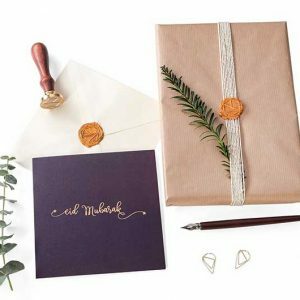 – Comes individually cello wrapped with a cream envelope. 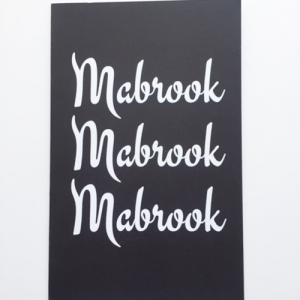 – Sized at 150mm square and blank inside. 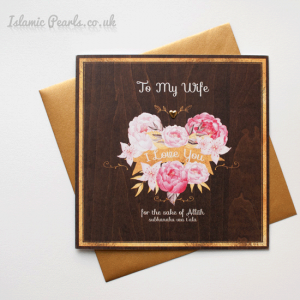 A special hand embellished card for Wife. 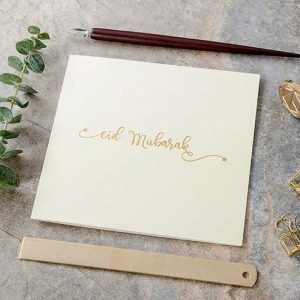 Decorated with a polished golden heart. 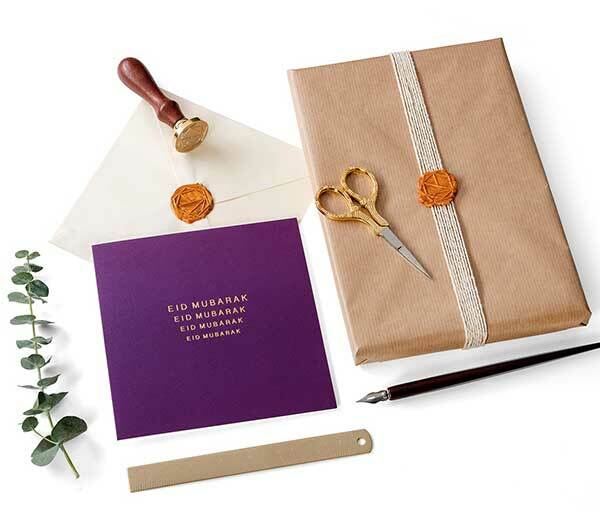 – Comes individually cello wrapped with a white envelope. 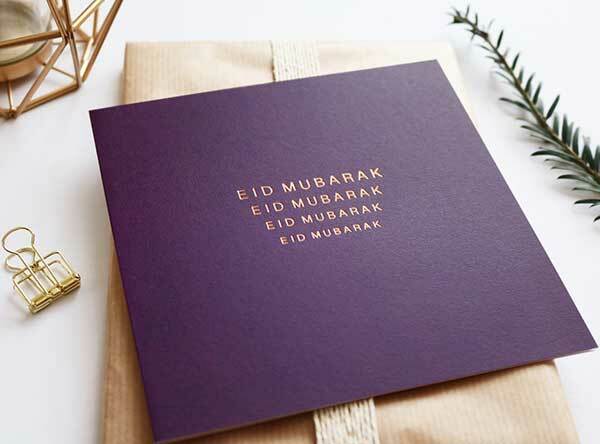 Make a statement with this bold greetig card. 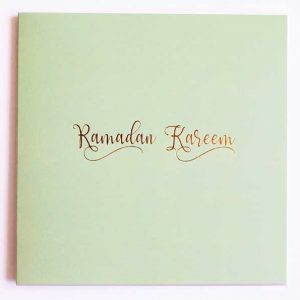 5×7″ vertical greeting card & white envelope. 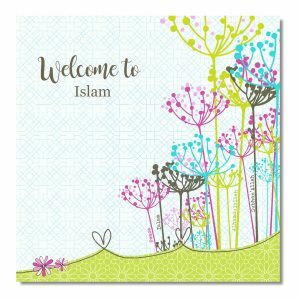 An elegant ‘Welcome to Islam’ card from our Buntings & Borders collection. 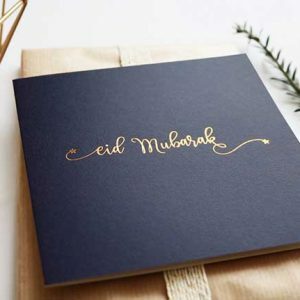 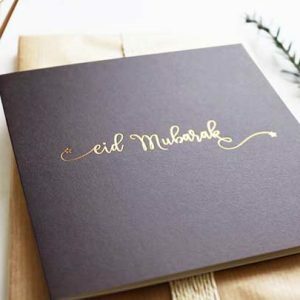 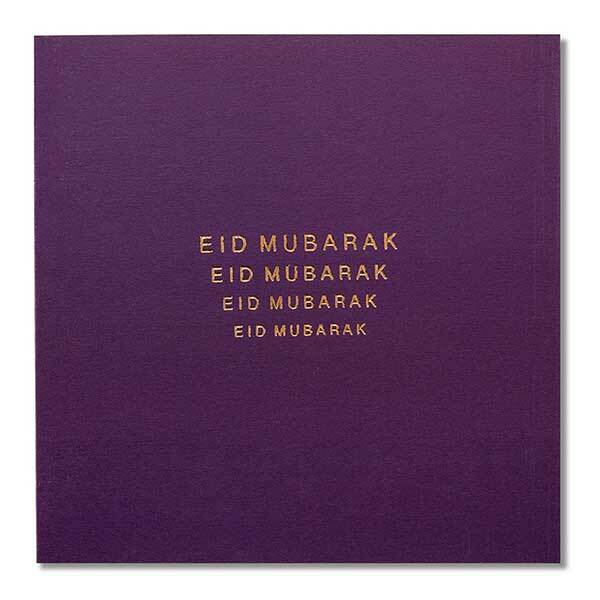 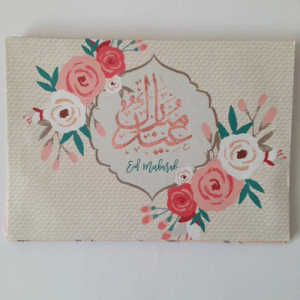 These handy ‘eidi’ envelopes are great for handy out money in on Eid! 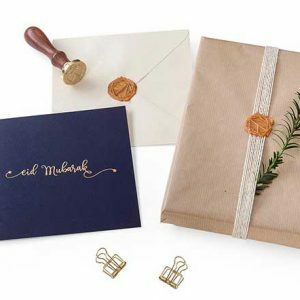 These no need to lick envelopes take out the hassle and make it easy for those who do last minute eid presents. 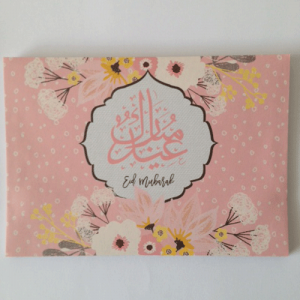 – Double sided print eid money gift envelopes. 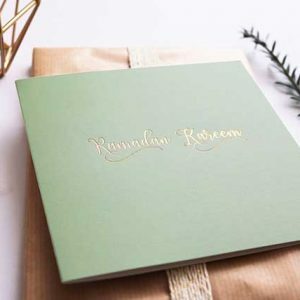 Simple, elegent and luxuriously hot foiled on to a textured linen card.